It’s been four years since theme park and luxury resort Jurassic World was destroyed by dinosaurs out of containment. Isla Nublar now sits abandoned by humans while the surviving dinosaurs fend for themselves in the jungles. When the island’s dormant volcano begins roaring to life, Owen (Chris Pratt) and Claire (Bryce Dallas Howard) mount a campaign to rescue the remaining dinosaurs from this extinction-level event. Owen is driven to find Blue, his lead raptor who’s still missing in the wild, and Claire has grown a respect for these creatures she now makes her mission. Arriving on the unstable island as lava begins raining down, their expedition uncovers a conspiracy that could return our entire planet to a perilous order not seen since prehistoric times. 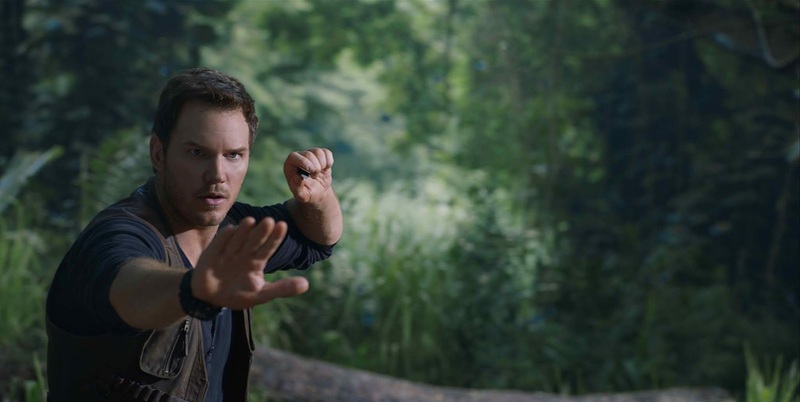 The film stars Chris Pratt and Bryce Dallas Howard return. Pratt and Howard are joined by co-stars James Cromwell, Ted Levine, Justice Smith, Geraldine Chaplin, Daniella Pineda, Toby Jones, Rafe Spall, while BD Wong and Jeff Goldblum reprise their roles. "Jurassic World: Fallen Kingdom" is distributed in the Philippines by United International Pictures through Columbia Pictures. Watch "Jurassic World: Fallen Kingdom" in Philippine cinemas June 6, 2018.